This obscure Swedish progressive quintet originally released Barndomens Stigar on the small, but very excellent Bauta label in 1981 and it has since become a highly coveted and very expensive collector's Item. Musically, there are connections with the Canterbury scene and the RIO tradition as well as Magma and other Zeuhl groups. At times, the keyboards, performed by Bauta staple Johan Hedren, are reminiscent of Soft Machine's Mike Ratledge in both timbre and style and at other times one would swear that Hedren was copping licks from middle period Magma. The bass often has a more than a bit of the Magmoid buzz and rumble (check out "Kära Jord"). The vocals as provided by Ingemo Rylander and Jonas Linge (female and male, respectively) on the other hand, are clearly in the Zeuhl tradition. The peculiar harmonies and the idiosyncratic melodies are reminiscent of groups such as Eskaton, Anaid, and Musique Noise, not to mention Magma. Top off this strange but compelling mix with some equally weird and wonderful guitar and you have Kultivator. As an added treat, a track from a live recording made in 1979, plus a brand new track laid down In 1992 has been added. 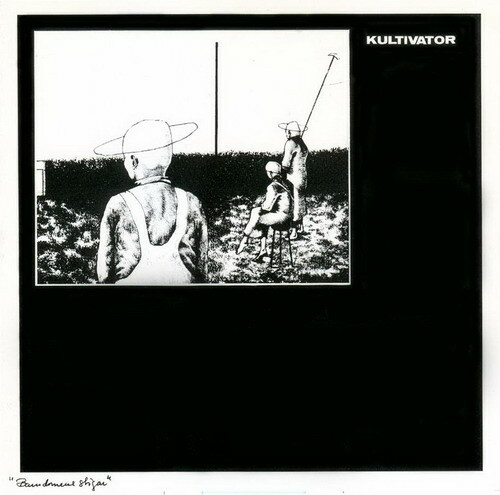 One can only hope that this portends a new release by Kultivator in the not too distant future. This was APM's first release, a limited and numbered edition of 1000 that disappeared quickly, and has only recently been re-pressed. Get it while you can.